Let’s be honest for a second--when it comes to buying gifts for the men in our lives, we tend to find ourselves at a loss. Tools are a classic fall back, followed closely by lawn equipment. But this year, you want something unique to them that they’ll actually use, appreciate, and love. If that’s the case (and you’ve already bought your guy all the tools he needs), then let me introduce you to WOODCHUCK USA. WOODCHUCK USA is a company based on authentic, American traditions, they are driven by their mission to bring nature back to people, quality back to products and jobs back to America. 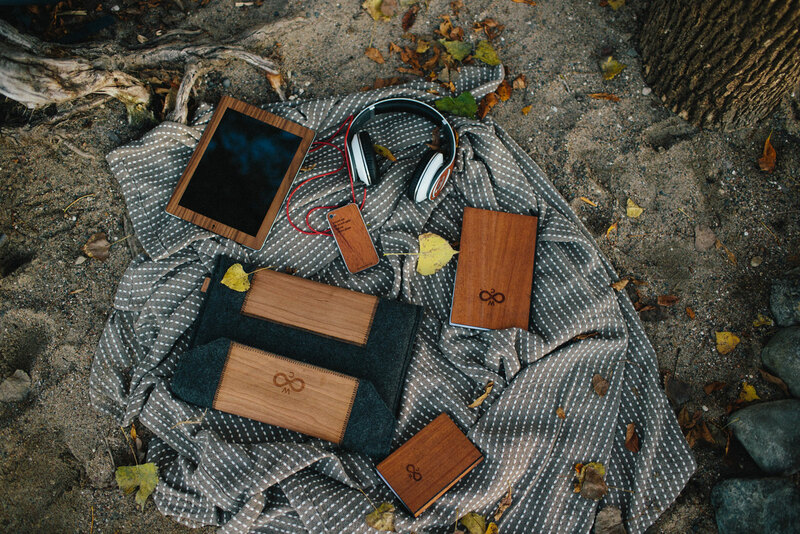 Each one of their products is 100% made in the USA and handcrafted in their Minneapolis-based manufacturing studio. What’s even better? 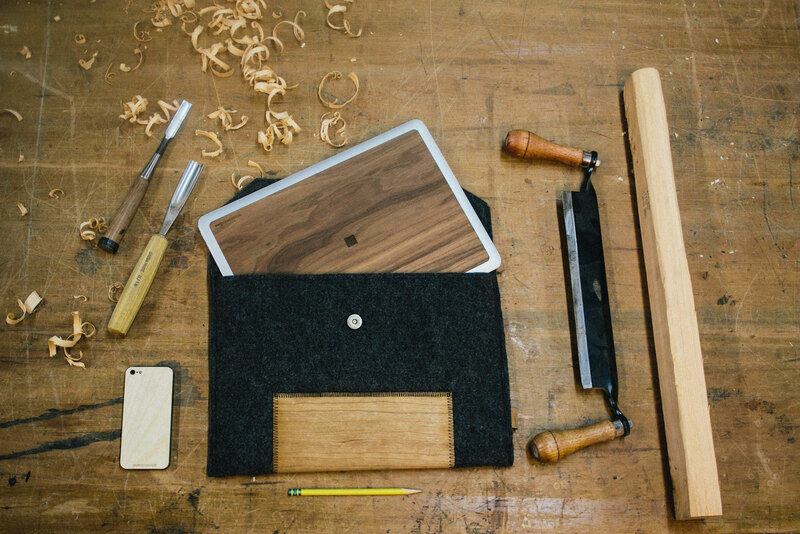 Every product uses FSC certified wood veneer, adding a classic, natural aesthetic to every aspect of your look. 1. Flask: With a stainless steel body and real wood finish, these 3 oz flasks are compact and slip easily into your suit or coat pocket. 2. Cufflinks: These stainless steel cufflinks each feature a real wood facing that is hand-selected to ensure the most unique grain possible. Better yet, your cufflinks come in their own WOODCHUCK box for storage. 3. Journal: Offered in both a classic size (8.5” x 5.5”) and pocket size (4.5” x 6.5”) it’s easy to see why these journals are one of WOODCHUCK’s best-selling products. These journals are perfect for jotting down meeting notes or just sporadic ideas and thoughts, the pages of these journals are made from 100% recycled paper. 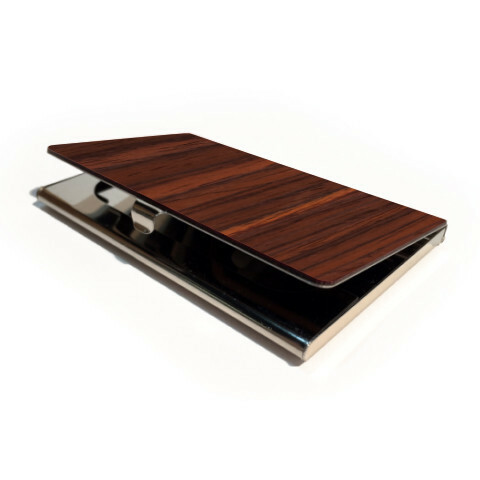 4. Business card holder: Exchanging business cards never looked so classy. The stainless steel body and real wood finish allows for a memorable exchange and immediate conversation starter. 5. iPhone skin: For the tech lover in all of our lives, these phone skins aren’t your average accessory. 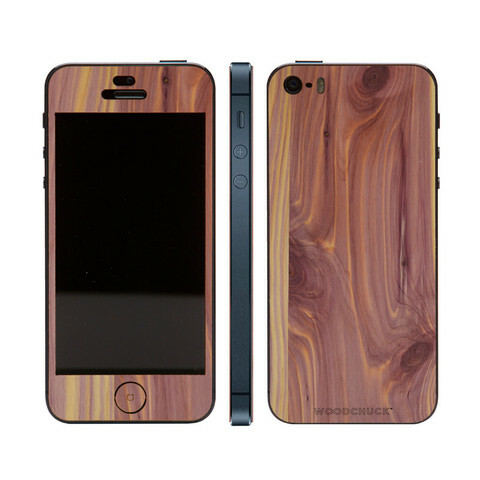 WOODCHUCK also offers skins for Samsung Galaxy S4 and S5 as well as Adventure cases for those who are a little more, well...adventurous (or phone-dropping prone). 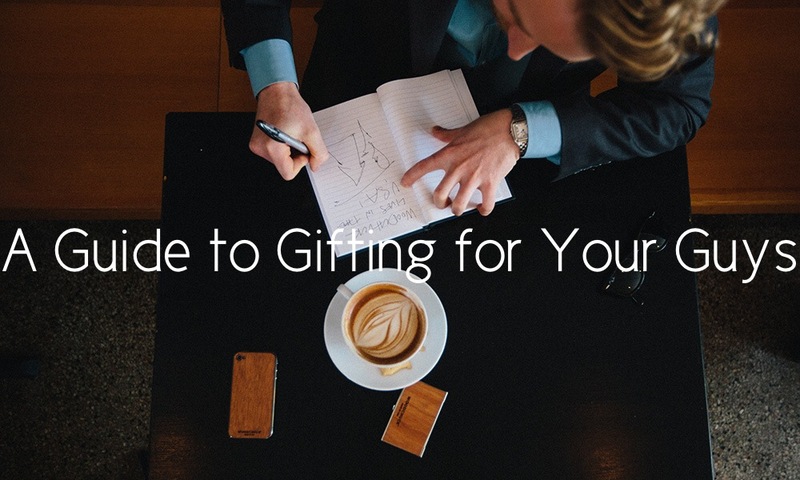 WOODCHUCK USA’s products help you give the guys in your life a gift they won’t forget. Each purchase you make from them also allows you to join them in their mission to bring nature back to people, quality back to products and jobs back to America. This is a sponsored post, however, all opinions are entirely my own. These are so cool! I kinda want that journal for myself! Wow, I'd love this for myself! Hahaha! Shopping for guys is seriously so hard! Thanks for sharing these - I love the iPhone case!